10GB free to start with. 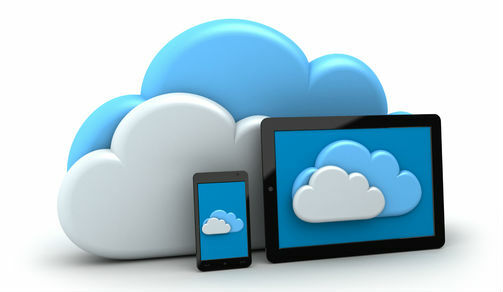 Cloud storage grows by half the local storage you share. To share local storage on a device the device should have 80% uptime. You can tune the shared storage anytime. Very fast because there is no central pipe, no bandwidth throttling, and no data volume limits. Connect any directory on your system to the cloud, not just one root directory. Reliable: requires 33 unrelated, unknown, and geographically disparate drives to fail at nearly the same time before a single block of data is lost. Symform adds 50% redundancy to all blocks before they are distributed globally throughout the network. To recover a block of data (part of a larger file) 64 of the 96 devices it is spread across need be available. When Symform sees that fragments are not available it automatically regenerates and redistributes them to other devices. Files stored in fragments: a lot safer that storing an entire file in a single location in the cloud. Breaks each file into blocks and then shreds each block into 64 fragments, adding 32 parity fragments to each 64 for redundancy. Symform distributes those 96 pieces to 96 different devices on the fastest online backup network. This ensures that theoretically no one can reconstruct a single block of your files unless they get data from 63 others. Security: uses patented RAID-96™ technology. It would need the right 64 people to first find each other, then “collude” to re-construct a single block of encrypted data. Just a single encrypted block! Then they would have to break the military-grade 256 AES encryption. Finally, they would have to repeat this process for each of the other blocks of the file with a new set of 64 people and a new key! Parallel connections: uploads files over multiple concurrent connections to multiple locations for the fastest cloud backup. Optimal bandwidth usage: uses bandwidth at the lowest priority. Uses more bandwidth only when network is idle. Native clients for Linux, Windows, Mac, Android, iOS and NAS devices. Update: Free pCloud account can now reach 30GB. The Linux client is fully functional. pCloud doesn’t strike as any outstanding service when you take a quick look at the description: another relatively new cloud storage service that offers up to 20GB free space in the cloud. Who would even bother checking out the homepage? People are talking in TBs nowadays. However, when I created an account to check it out I found it interesting, specially two features which are not yet very common in the cloud storage arena but will be welcome by Chromebook or tablet users. 10GB initially with 20GB through invitations, get started tasks etc. 20GB is not even remotely catchy. Now the free space limit is 30GB. Might appear less to many. Check out this review of Koding first. To grab more space invite your friends this week and when they create an account both of you will gain 1GB each! Cool, eh? Hurry as this offer is for this week only and users are already rushing in. However, remember that the maximum size limit for a VM is still 16GB. So if you have already reached it, you won’t get any far. Update: As per their recent change in policy announcement, Yunio will no longer be free post April 01, 2014. Check the tag CLOUD STORAGE. I wouldn’t recommend storing sensitive data in the cloud for security and privacy. And it’s safe to have at least a backup copy of the same data in another cloud service. You always have a better chance of data recovery. Check the tag CLOUD STORAGE for more offers. 4shared: 15GB free. Upload size limit per file is 2GB. Files get deleted automatically if no login for 180 days. 4shared has native clients for all major mobile and desktop platforms. Box: Comes up with 25GB or 50Gb free offers now and then. Copy: Virtually unlimited introductory offer! Grows in GBs. A 2.6TB account here. Dropbox: Pretty well-known cloud service. Flickr: Now 1TB for your photos. Enough for a lifetime! Google Drive: 15 GB to store and edit all your documents. MediaFire: Unlimited free space. There is a time limit before file deletion but you get multiple notifications via email before deletion. Only logging-in to MediaFire is enough to prevent files from deletion. Mega: 50GB free for sign-ups now. Claims full encryption. Minus: Space increases with accepted referrals. For images only. pCloud: 20GB is the limit for free accounts. But it has two incredible features. SkyDrive: For old users it used to provide 25GB (which I still have) but now it is offering 7GB for new sign-ups. Symform: 10GB for free with additional cloud storage in exchange of local storage. Patented RAID-96™ technology for security. Tresorit: 50GB through LifeHacker (offer expired). Fully encrypted. Ubuntu One: Offers 5GB for free. You can add another 20GB via referrals. If you are using Ubuntu this is also a great option. Supports music streaming. Though closely tied to Ubuntu it has clients for Android, Mac and Windows. Discontinued. Yunio: 1TB initially that grows by 1GB each day. Zoolz: 100GB free for first million sign-ups (offer expired). Glide OS: Offers 30GB free. Check this.